AVAILABLE FOR IPAD ONLY! 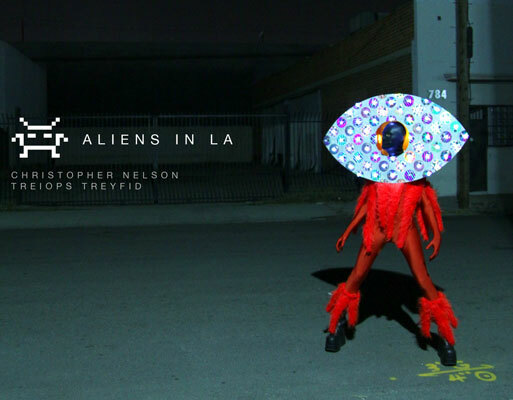 See 13 visionary alien creations from artist Treiops Treyfid and photographer Christopher Nelson shot guerilla style on the mean streets of Los Angeles. Each alien costume was hand crafted and styled using exotic and recycled materials, many incorporating light sources. A fascinating and revealing story accompanies each alien. The writing is mostly narrative, often poetic and abstract, always mysterious. Aliens in LA is a photographic coffee table book of Science Fiction, Cosplay, and Los Angeles.